I had two long days at medical facilities this week. Fran made me take her back to have surgery on her OTHER elbow on Friday. The last time we did this, she was in and out of there lickity-split and was able to meet the boys for the Friday Swim. In this case that did not happen AND Logan had an early soccer game AND I had to get Logan from school - which meant on Friday I was lucky to get in a four mile run. Sheesh. 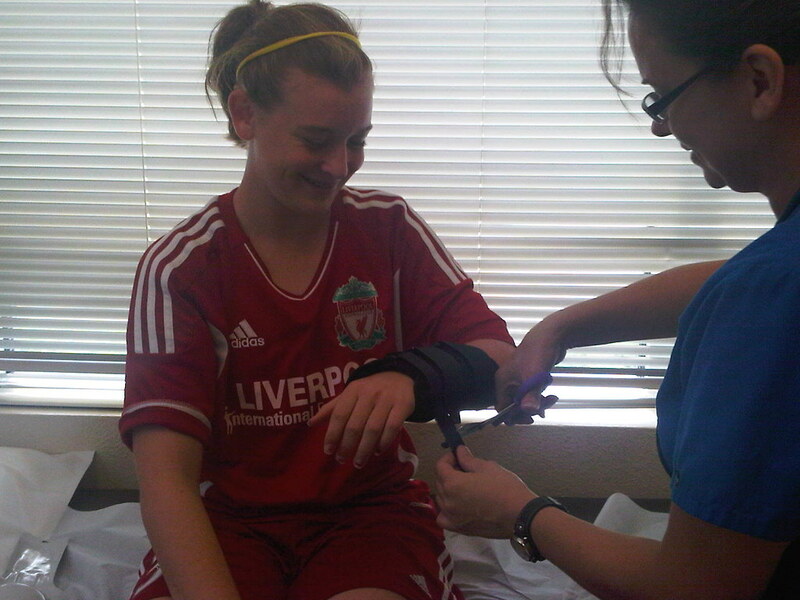 Then on Sunday, Logan was pushed down during her morning soccer game and she fell on her wrist. The trainer had me go get it xrayed, which was negative - thank heavens - but not after spending another three hours in the medical place. Double Sheesh. And also its worth noting that work was nuts on Wednesday, so I was unable to get out of the office for a workout. I saw Ron that afternoon but managed to get on the bike for 10 miles of intervals at Breckinridge. Triple Sheesh.